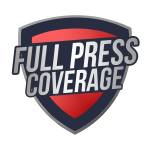 With another Bears season in the books, the Full Press Bears crew takes a look at the finest season in years while looking to the critical offseason to get the Bears over the hump. 1.Who Was the Offenisve MVP? Though he may have had his growing pains and struggles, the utter importance of Mitcehll Trubisky and his unique skill set allowed for Nagy’s Reid-inspired offense to flourish. A career year saw him come within 500 yards of the Bears single season passing record and five touchdowns from the passing touchdown record. With his accuracy finally translating to the NFL and the pleasant suprise of his explosive rushing ability, the Bears offense transformed from stale last season to one of the most dynamic in the league under his progression. His versatility as a running back and receiver was utilized throughout the regular season by Matt Nagy. His explosiveness allowed for a number of big plays to be made, either getting in the end zone or setting up a scoring drive. He still had some struggles on special teams but overall he was a major cog in that offense. Tarik Cohen is the easy choice. He had 1169 offensive yards and 8 touchdowns. 2.Who Was the Defensive MVP? Khalil Mack may be the franchise superstar but after missing a few games and ending up as a nonfactor on the biggest stage of the season against the Eagles, this spot has to go to the unsung brilliance of Akiem Hicks. Graded the fourth highest interior defender by Pro Football Focus, Hicks’s elite 92.9 run stopping grade combined with 7.5 sacks finally resulted in his first Pro Bowl berth. Mack or even Eddie Jackson may be the trendier pick, which often overshadows Hicks, but his dirty work sets the standard for the Bears. He made the defensive unit go from very good to great. This might go down as one of the best trades in Chicago sports history. Mack putting pressure on the quarterback made every part of the defense, front seven and secondary better. There were many times the Bears forced turnovers thanks to pressure and plays Mack made. Hard to argue against a guy who can sack Aaron Rodgers with his back. I can’t pick one or the other. Mack and Jackson deserve not only Defensive MVP of the team but consideration for Defensive MVP of the league. Four Pro Bowlers and three All-Pros on the defensive side make this a tough decision. Not to mention the amazing inside linebacker play, and the stout Eddie Goldman at the nose. But once Mack was brought in, everyone’s game was elevated. Mack was well worth the picks and money and gave the Bears the boost they needed to win the NFC North. 3.What Was the Biggest Suprise From This Season? Am I allowed to say Cody Parkey hitting the post six times this season? No? Either way, the Bears being able dominate some teams as much as they did probably is the biggest suprise. Going from worst-to-first may not be a monumental achievement in the current NFL sphere but going from the pushovers of the NFC North to going 5-1 in their division can’t be disputed. Honestly, going 5-1 against the NFC North. They were one dropped interception away from sweeping the whole division. The Bears under John Fox won three NFC North games total in his tenure from 2015-2017. I figured they would go 3-3 or 4-2 at very best against the division before dominating it. This has to be Eddie Jackson ascending to stardom. While most realized Jackson was a fourth-round steal in the 2017 draft, and he showed plenty of flashes in rookie season, many Bears fans would have never fathomed that he would be arguably the league’s best safety in just his second NFL season. In fact, Pro Football Focus gave him the highest ever grade for a player at his position in their 13 years of existence. For once in a very long time, the Bears don’t have many holes. Kicker obviously comes to mind, but contractually the Bears have no options in terms of replacing Cody Parkey any time soon. Depending on if Adrian Amos walks, safety may be something to target but so long as the Bears bolster the offensive line depth and nab another solid edge rusher, the team will be in position for a deep playoff run. I think the offensive line could use some reinforcing. Hopefully Kyle Long is healthy going forward, but even if he is, building it up a bit more is important. Bobby Massie is going to be a free agent, and being 29 years old, the Bears will probably be looking at other option at tackle. Bears need a kicker and it’s not close. Parkey has to go, the cap hit or not. Either draft one or pay a premium for a proven vet. Bears need the offensive line. While Leno and Daniels look to be primed to man the left side of the offensive line for the foreseeable future, the rest of the line could be in flux in the near future. Bobby Massie is a free agent this year, Cody Whitehair next year, and Kyle Long has had trouble staying healthy the last few years. The Bears have to come out of this offseason with a starting right tackle, a solid backup on the interior, and a long-term deal for Whitehair. 5. What Do You Think of the Pagano Signing? After the quick turnaround, Ryan Pace knocked it out of the park with this one. Running a very similair defense to Vic Fangio, Pagano will be able to seamlessly slide right into the team without missing much of a beat. Where he could out-do the fan favorite Fangio will be his aggresiveness. As a far more blitz-happy coordinator, the days of seeing Khalil Mack drop back into coverage will finally be over. Pagano has expierence with helping talented defenses realize their full potential and the Bears put him in the most ideal situation for a defensive coordinator. I think Pagano is a fantastic hire. His personality will fit in very well with the culture Matt Nagy established here in Chicago. His coaching style can help guys like Eddie Jackson exceed even further. Look past his head coaching days in Indy, the guy has a very good resume from his days as a coordinator and defensive backs coach. This was probably the best guy they could have possibly gotten after Todd Bowles was off the board. I like the move. Vic Fangio may be the best defensive coordinator in the league but I think Pagano may bring in better positional coaches. 6.Who Should the Bears be Targetting in the Draft? Without a pick until the third round, it’ll give Ryan Pace the chance to flex his late-drafting prowess in a more direct situation, also not giving him the chance to blow another first rounder. Similarly to the biggest needs, so long as Pace doesn’t pass up an interior lineman and an edge, the Bears will be fine. Honestly, the Bears don’t need a project to toil over and wait to finally be able to start with the Super Bowl talent present so finding an NFL-ready guard to step into Kyle Long’s place if he winds up on the IR again will really be all that’s needed. Boston College’s Chris Lindstrom (who draws comparisons to the Bears own Cody Whitehair for his strong blocking and deceptive athletecism) and Texas A&M’s Erik McCoy could fit. Offensive tackle Tytus Howard from Alabama State could be the guy to replace Bobby Massie. Not having a lot of picks this year will make the draft less exciting, but it is worth having Mack. The Bears need a pass rusher. It’s tough to pinpoint a specific name for the Bears right now because of the lack of picks in the first two rounds. But with $22 million tied into Khalil Mack for the long-term, the looming expensive fifth year option decision on Leonard Floyd, and the potential loss of Aaron Lynch, it’s imperative the Bears find a pass cheap pass rush production.